Buy Magno products online. 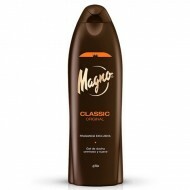 At Lemon Fresh UK we stock the popular Spanish brand called Magno. Magno is a fabulous brand situated in Spain and popular in the country. We have worked hard to now import Magno in the UK. Shop the Magno range now.